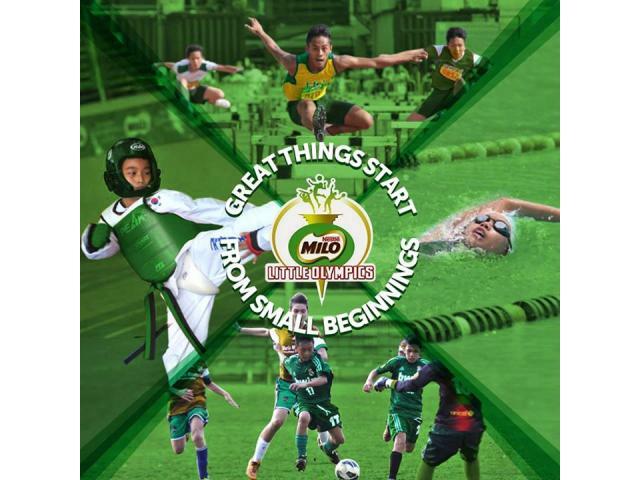 The world-famous brand Milo, owned by the largest food conglomerate in the world (Nestle, employing a staggering 339,00 people and grossing $91 billion a year), is sponsoring the 21st edition of the MLO. I was there in the first meeting when the Nestle executives flew to Cebu to introduce this major sporting event for the youth. Councilor Joy Young, with Ricky Ballesteros and a host of other sporting enthusiasts (including Bidoy Aldeguer) were present. If my recollection is correct of that meeting long time ago, it was held at the Ecotech Center. This weekend, over 4,000 girls and boys from the Visayas are gathered to compete in the elementary and high school divisions. Milo? Yes, we know the name to be the energy drink but, after a quick research, I found out that it traces its roots from a 6th century BC wrestler named Milo of Croton. In this regard, Milo is literally putting its money where it’s drinking (Milo) mouth is by sponsoring these sporting events. Two nights ago, I visited the SM Seaside City and the giant mall was the venue for multiple MLO events: gymnastics, karatedo, table tennis, chess, arnis, scrabble and taekwondo. This is an excellent idea for several reasons. One, the comfort of the athletes and parents inside SM. Two, you’ve got seven events housed in one venue — perfect for officials and for the general public who want to watch. Three, you’ve got all the dining and recreational options after a stressful game for the athletes. Which brings me to think: The mall can actually be an avenue not only for movies and restaurants and shopping — but also for even larger sporting events (think of the inclusion of the bowling alleys and the skating rink). Looking ahead to the Palarong Pambansa in 2017, it’s a toss-up, I hear, between Bacolod and Cebu. I’d say the big advantage goes to the land where Lapu-Lapu killed Magellan. First, Monico Puentevella — a major player in Philippine sports — lost in the elections for Bacolod City mayor to Bing Leonardia. Second, we last hosted the Palaro in 1994 while Bacolod hosted it in 1998. Which means that we ought to be given a slight edge for this, right? Expect the SM Seaside City to be busy next summer if Cebu hosts the Palaro.